In this episode of The Uncle Walt Podcast, we'll hear about Walt's struggles in Kansas City after the departure of his family. Most of the Disney's headed out west in search of a milder climate, but Walt stayed behind to grow his young animation studio. Without family around Walt struggled to fill the void left from their relocation. The most notable family member, who's departure left an impact on Walt was his brother Roy. We'll also learn that it wasn't just Walt that Roy left behind either. Walt knew he wanted to branch out beyond his 'Newman Laugh-O-Grams' and begin a new series of animations based on well known fairy-tales. To set them apart however, he wanted to base these familiar stories in a 1920's contemporary setting. With help from his buddies, he set out to do just that. Would he succeed in making these animations a reality? Would he officially turn his animation "club" into a legitimate business? Find out on this episode of The Uncle Walt Podcast. Walt Disney's first commercial animations, his 'Newman Laugh-O-Grams' were a big hit in Kansas City in 1921. Unfortunately for Walt, their success did not translate into financial gain. Wanting to branch out and start his own organization, Walt began recruiting a group of co-workers and friends to join him in his new endeavors. Hear these stories and more, on this episode of The Uncle Walt Podcast. After experimenting in the garage behind his Kansas city home for a few months, Walt Disney felt he was ready to create his own commercial animations. He conceived of a series of films he called 'Newman Laugh-O-Grams' with the hopes of selling them to the Newman Theater chain. He wrote, produced, and hand drew a 1 minute pilot reel of these Laugh-O-Grams in his make shift garage animation studio. Find out what happened, and if he succeeded in selling his animations to Frank L. Newman, in this episode of The Uncle Walt Podcast. While working at the Kansas City Film Ad Company, Walt Disney discovered something amazing, that would change his life forever... Animation. It was a new and exciting art form that allowed Walt to literally see his illustrations come to life. He became obsessed with it and wanted to learn everything he could about animation. After borrowing a camera from A. V. Cauger, Walt set up a makeshift studio in the garage behind his Kansas City Home and began immersing himself in animation techniques. Hear all this and more, on this episode of The Uncle Walt Podcast. In early 1920, Walt Disney and Ub Iwerks were failing in their attempts to run their own commercial art operation. With no money coming in, Walt took a job working for a man named A. V. Cauger at the Kansas City Slide company, a company that specialized in film advertisements. Ub would soon join him there and the two men would become fascinated with a young and burgeoning art form that was about to take the entertainment business by storm. Hear this and more on this episode of The Uncle Walt Podcast. In early 1920, Walt and fellow artist Ub Iwerks decided to go into business together and start their own commercial art studio. Without supplies or even a location in which to work, the two young artists turned business men had a lot of work ahead of them to bring their company to profitability. How would the fortunes fare as Walt and Ub ran their first company together? We'll discuss all that and more on this episode of The Uncle Walt Podcast. As Walt was settling back in to life in America, he pursued a lifelong dream of becoming a professional artists; and he did just that when he was hired as an apprentice at Pesmen-Rubin Commercial Art Studio. His time there would teach him valuable lessons about illustrating for advertisements, as well as introduce him to someone who would leave a lasting impression on his professional life. We discuss who that was and more, on this episode of The Uncle Walt Podcast. When Walt walked once again on American soil, he looked towards his future with an amazing optimism. He hoped to reconnect with family and old friends alike, but when he return to Chicago following his service in France, he realized that things were not as he hoped they would be. Following a string of disapointments, Walt set his sights on achieving a goal he harbored for many, many years. Would he succeed in this dream? Find out, as we discuss all that and more, on this episode of The Uncle Walt Podcast. While serving in the Ambulance Corps, Walt Disney did what he always did, he drew. In fact he drew for anyone, at anytime and on anything. However after both of his brothers had left the armed forces and returned home to Kansas City, Walt started to think of his own return to the United States, and he began to feel homesick. He would soon meet up with an old friend and the two would make plans for their return home. We discuss all of this and more, on this episode of The Uncle Walt Podcast. After joining the American Red Cross Ambulance Corps, Walt Disney traveled via ship to Europe to take part in the post-war efforts. He was stationed in France and experienced things that would change him forever. In this episode of The Uncle Walt Podcast, we discuss Walt's arrival in France, the locations he served in and some of the people he met along the way. Plus a few specific stories of Walt's time as an ambulance driver in a post WW1 landscape. With war waging in Europe during the fall of 1918, 16 year old Walt Disney wanted to join the fight. He was turned away however by the American Armed Services because of his age. Walt was so determined to participate though that he resorted to some trickery and even forgery to insert himself into the war effort. We discuss all this and more on this episode of The Uncle Walt Podcast. 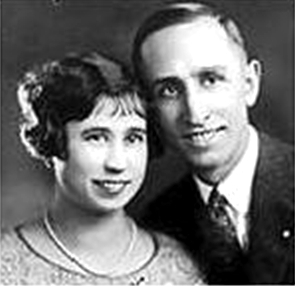 In the Summer of 1917 Elias moved his family back to Chicago Illinois, to work in the factory of a fruit and juice company he had been investing in named O-Zell. Walt stayed behind in Kansas City for a few months and worked as a news butcher on the Santa Fe rail line, but when he did return to Chicago he enrolled as a freshman at McKinley High School. In this episode of The Uncle Walt Podcast we'll discuss The Disney's return to Chicago, and Walt's life as a high school age teenager. 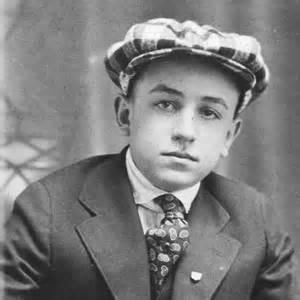 After graduating the 7th grade at age 16, young Walt Disney now found himself at a crossroad in life. He had no job, and no prospects of work as a professional artist. He needed to find a way to earn money during the summer of 1917 and he turned to something that always fascinated him, the rails. We discuss all that plus Elias' last chance at fortune and the changing world that would inspire his older brother Roy to join the armed forces on this episode of The Uncle Walt Podcast. Walt Disney was never a very good student, but he loved going to school. In this episode of The Uncle Walt Podcast we talk about Walt's time attending the Benton Grammar School in Kansas City, Missouri. Including some of the faculty members that encouraged him and a few stories of grade school Walt's antics. Then we circle back to Walt's first love of drawing and a local business that encouraged his pursuit of that passion. This episode of The Uncle Walt Podcast dives into Walt Disney's growing love of performance. From plays and skits to comedy routines, Walt loved to be front of an audience. He also shared this love with a neighbor boy who would become one of his best friends and acting partner in his adolescent years. Walt may have had a strained relationship with his father, but his relationship with his mother, Flora, was one that he would always cherish. In this episode of The Uncle Walt Podcast, we discuss Flora Disney and her role in the family. Plus, we talk about another family member that would look after Walt as he was growing up. Someone who would become instrumental, yet sometimes under-appreciated in Walt's later success. This episode of The Uncle Walt Podcast digs deeper into Walt and Elias' deteriorating relationship. They were on a collision course to a tipping point, and the incident that would trigger this monumental moment would change their relationship forever. This episode of the Uncle Walt Podcast tells the story of Walt Disney as a young child in Kansas City Missouri. We'll learn of the paper route that Elias purchased after their move from Marceline and how it forced Walt into work at a young age. The paper route took priority in all of the Disney's life at the time and although he was still expected to attend school, Walt was not spared from the duties of the route. In this episode we cover the changing family dynamic on the Disney farm, including Elias' fiery temper and an argument that led to some members' departure from the homestead. It also includes a discussion on Elias' green thumb, or lack there of, and all the changes happening around Walt.